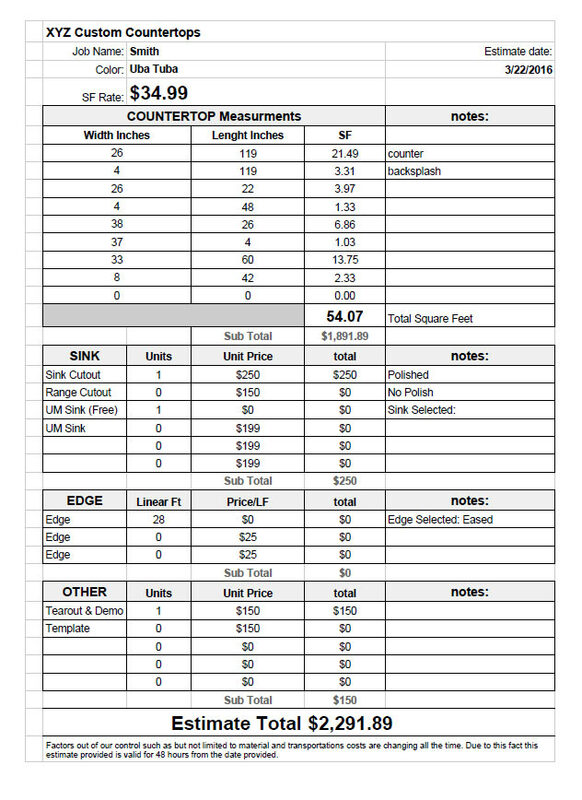 Click the Link Below to use the estimating tool. Once it is open you can make a copy of it and use it for your next job. 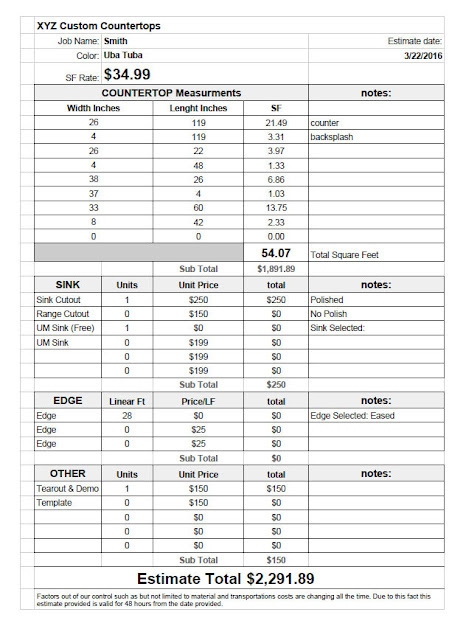 This Estimating sheet is designed to help you quickly estimate any job and will calculate square footage for you based on the measurement that you enter. This tool is designed for the average kitchen. Most larger jobs will need to modify this format but I was trying to keep it on one page. Then you can link to the file from the spark lead management system. Set the permissions on the estimate file. Grab the Share link and add it to the notes field in spark.